Jiulongpo District is located at the core area of Chongqing, covering an area of 432 km2 and containing 1.2 million permanent residents. Zhongliang Mountains separate it into east and west parts. The east part (88 km2) has already been urbanized completely, while the west part (344 km2) has great potential in urbanization. Jiulongpo District is the key economic, industrial and commercial district in Chongqing. Its regional GDP is in leading level in Chongqing during the past consecutively 15 years. In 2017, its regional GDP reached RMB 113.04 billion; its gross industrial output above scale reached RMB 122.21 billion, and the total retail sales of consumer goods was RMB 61.81 billion. 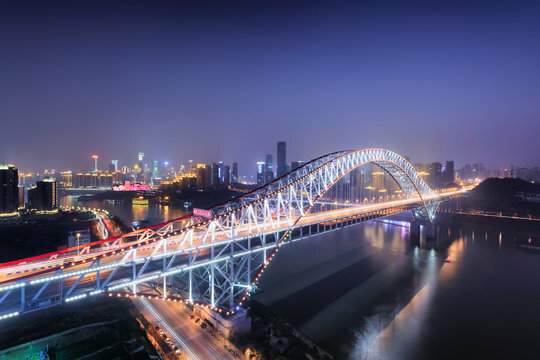 The numbers of Jiulongpo District’s high-tech enterprises, large-scale enterprises, well-known trademarks, private enterprises, small and micro enterprises are all ranking the first in Chongqing. The traditional pillar industries of Jiulongpo District, such as automobile manufacturing and motorcycle manufacturing, have a strong foundation. Its total industrial output value was always in leading status in Chongqing. Jiulongpo District owns 423 large-scale industrial enterprises and 214 industrial enterprises with assets above RMB 100 million. Jiulongpo District has two famous commercial centers (i.e., Yangjiaping and Shiqiaopu), 34 high-standard modern office towers, 11 national A-class scenic spots, 13 star-rated hotels (4 five-star), 3,151 cultural and creative enterprises, more than 60,000 commercial outlets and a total market entity of 172,000 households. In 2017, the added value of service industry of Jiulongpo District was RMB 62.39 billion, accounting for 55.2% of its GDP. Its total sales of wholesale and retail trade were RMB 356.86 billion. The turnover of accommodation and catering industry was RMB 11.4 billion, and the total retail sales of social consumer goods was RMB 61.81 billion. Jiulongpo District is a large industrial district in Chongqing. It has many large-scale development platforms, which provides a good development environment for industrial development in the district. Chongqing High-tech Industrial Development Zone was established in March 1991 with the approval of the State Council. 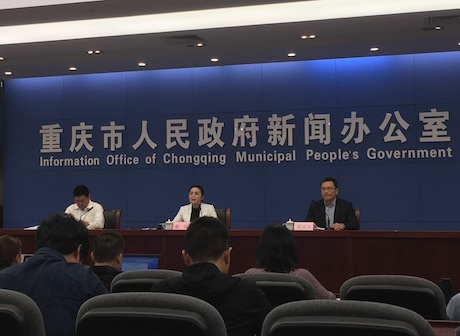 It is the third independent innovation demonstration zone in western China and the seventeenth national autonomous innovation demonstration zone approved by the State Council. Part of this zone (4.75 km2) is included in the scope of Chongqing FTZ. The planned area of this zone is 74.3 km2. It mainly develops new generation information technology, artificial intelligence, biomedicine, new materials, new energy, high-end equipment manufacturing and modern service industry. Jiulong Industrial Park is a Chongqing characteristic industrial park approved by Chongqing municipal government, and is the first batch of new industrialization demonstration base and remanufacturing base in China. The planned area of the park is 32.67 km2. 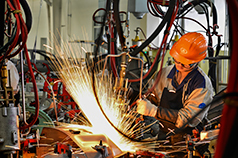 The park focuses on the development of automobile and motorcycle manufacturing, high-end equipment manufacturing, electronic information, artificial intelligence and other industries. At present, the park can provide more than 1500 mu of mature industrial land, 180,000 square meters of standard plants and buildings. Xipeng Industrial Park is a national economic and technological development zone with a total planned area of 65 km2. The park focuses on the development of new materials, high-end equipment manufacturing, new energy vehicles, precision molds and other industries. At present, the park can provide more than 2,000 mu of mature industrial land, 50,000 square meters of standard plants and buildings. 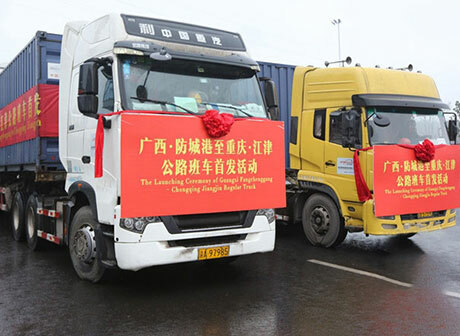 In 2017, Jiulongpo District invested more than RMB 9 billion in major transportation infrastructure construction and has more than 2,000 transportation and logistics service enterprises. 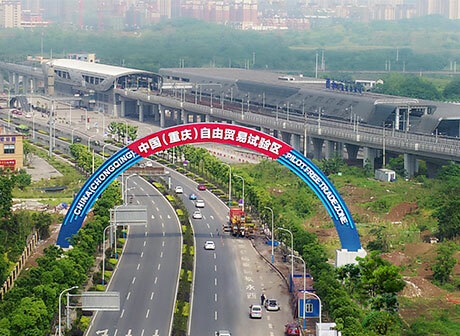 As it is close to Chongqing Railway Container Center Station, it takes only 13 days to deliver goods from Chongqing to Europe through China-Europe Railway Express (Chongqing). It owns an existing large container port (Jiulong Port) and an under-construction port (Huanglian Port), which can support 10,000-ton fleet and 5,000-ton single vessel. Jiulongpo District has 1,815 logistics enterprises such as road transportation, warehousing and express delivery. It also owns the largest cold chain logistics trading center in southwest China, with a transaction value of RMB 10 billion. Jiulongpo District has a natural ecosystem of “one river, two mountains and four rivers”, with a forest coverage of 40%. In 2017, the air quality was good for 293 days, and the quality of centralized drinking water sources reached 100%. It’s planning to build 356 urban or rural parks, forming the system of “National Forest Park – Sponge Wetland Park – Municipal Country Park -Characteristic Theme Park”. It’s promoting four major projects, namely, pollution cleaning, water cleaning, tidying up, and refreshing. Jiulongpo District is an excellent tourist place in China. 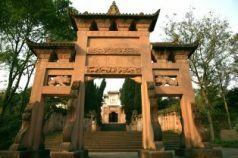 It attracts more than 30 million people annually and receives annual income more than RMB 10 billion. It was awarded “China’s Most Valuable Tourism Zone for Investment”, “National Leisure Agriculture and Rural Tourism Demonstration Zone” and “China’s Top 10 Urban and Rural Tourism Destinations”. 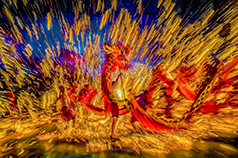 It owns 11 national A-class scenic spots, 3,151 cultural and creative enterprises, and more than 5,000 talents in culture, art and creative design. Land: There are 2,340.67 hectares of land available for construction; about 2,000 mu of land available for development in the eastern Jiulong Peninsula; and 102 km2 of land available for urban in the western part. Finance: 124 existing financial institutions; 6 listed companies and 22 new third board companies; total RMB deposit and loan balance amounts to RMB 377.23 billion with an increase of 13%. 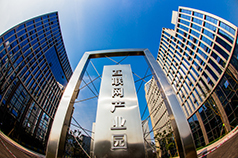 The pilot project of knowledge value credit loan reform has assisted 142 enterprises in Chongqing Hightech Zone obtaining loans of RMB 263 million. There was science and technology innovation vouchers (called Yu-Xin vouchers) of RMB 154 million issued. Talents: There is a consulting group consist of 39 international and domestic experts led by 5 Yangtze River Academicians. Additionally, there are 23 academician/postdoctoral workstations with more than 80 high-level talents. Elements of innovation and entrepreneurship: Jiulongpo District has 4 state-level incubators of science and technology enterprises, 6 municipal incubators, 19 municipal science and technology innovation space, 1 state-level key laboratory, 447 high-tech enterprises and 1,962 invention patents within the validity period.